The TylerBale team has teamed up with one of the world’s leading fitness chains to create a series of promotional features highlighting the benefits of becoming an Anytime Fitness franchisee. Beginning with interviews with each franchisee, we uncover the fascinating journeys each entrepreneur has undertaken in order to run their own gym. This approach means we can ensure that every feature is interesting, relevant and unique – despite each one being broadly about the same subject. 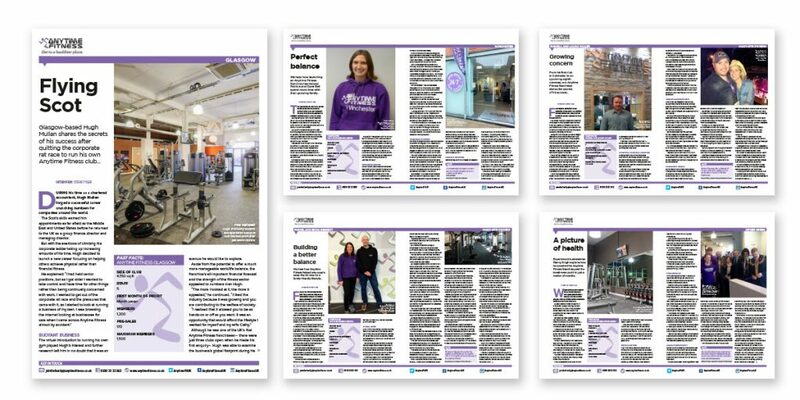 Despite being used as marketing collateral by Anytime Fitness, each article has genuine editorial merit. The franchise is able to sell the benefits of becoming a franchisee, while potential investors get to read professional-quality features free of the excesses of marketing. 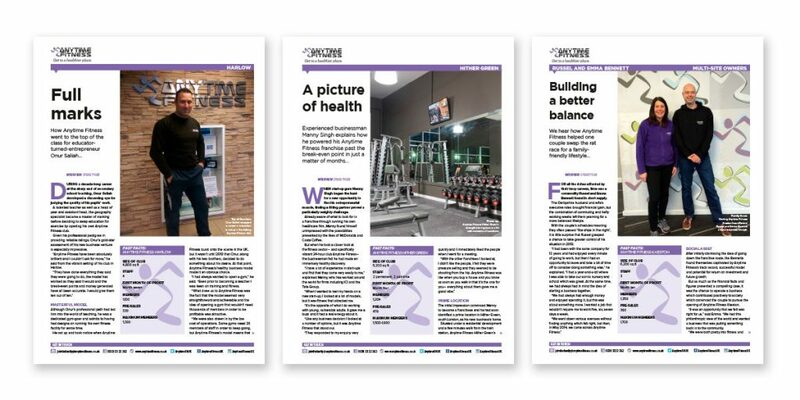 Anytime Fitness has used our work at trade shows and beyond, handing them out individually and having them printed onto large display boards. And the healthy partnership extends beyond the features as TylerBale’s team hold membership to Anytime Fitness’s Farnham branch!